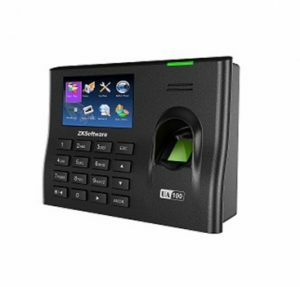 SK05 is an innovative biometric fingerprint reader for Time & Attendance applications, offering unparalleled performance using an advanced algorithm for reliability, precision and excellent matching speed. The SK05 features the fastest commercial-based fingerprint matching algorithm and SK high-performance, high-image quality optical fingerprint sensor. The 3″ TFT can display more information vividly, including fingerprint image quality and verification result etc. TCP/IP communication is standard and make sure the data transmission between terminal and PC can be easily done within several seconds. Color TFT screen with GUI Interface for ease of use. SK Technologies is a india based organizations focused on assisting clients to identify and mitigate security challenges .It has a range of fingerprint based biometric products and software solutions with a wide spectrum of functionality, Interoperability and scope for customizations. Copyright © 2018 SK Technologies Powered by Web Design Company In Delhi.